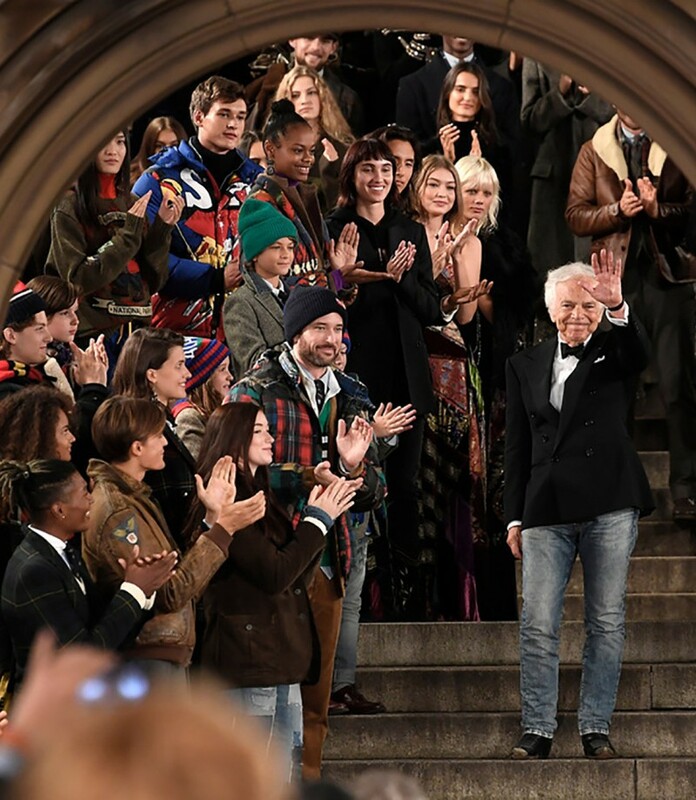 Ralph Lauren celebrated his 50-year anniversary with friends and family in New York City yesterday. 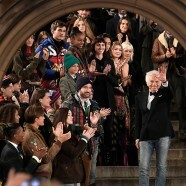 The 78-year-old American designer held a special show against the backdrop of the 19th-century Bethesda fountain in Central Park in Manhattan. Attendees included some of the biggest names from Hollywood and the Fashion Industry. Oprah Winfrey, Steven Spielberg, Kanye West, Chance the Rapper, Robert De Niro, Anne Hathaway, Blake Lively, Jessica Chastain Editor-in-chief of the American Vogue Anna Wintour, designers Tommy Hilfiger, Diane Von Furstenberg, and Michael Kor. The momentous event began with a display of Laurens eclectic collections: the Fall/Winter 2018-2019 main womenswear collection, the Purple Label and Polo Ralph Lauren (which included children’s looks), and Double RL, a new men’s tailoring line. To present the collections, the designer chose his current lineup of top models: Gigi Hadid, Anja Rubik, Kaia Gerber as well as those who have been with him from the beginning, such as Carolyn Murphy. Maartje Verhoef, Marjan Jonkman, and Luna Bijl showed a combination of different designs from past and recent collections. In Addition to the show, there was digital installation next to the runway that projected over 400 images and videos onto the walls to tell the story of the house. There was also vintage footage dating back to the 50s, as well as archival images, which were presented in a mirrored box called 50 Years of Reflection. After the show, guests were treated to an exclusive dinner party under the stars. The black-tie event took place in a setting which resembled the mythical Parisian restaurant Ralph’s. The menu which was inspired by New York’s Polo Bar included steaks from the designer’s Colorado ranch, served in China from Ralph Lauren Home.